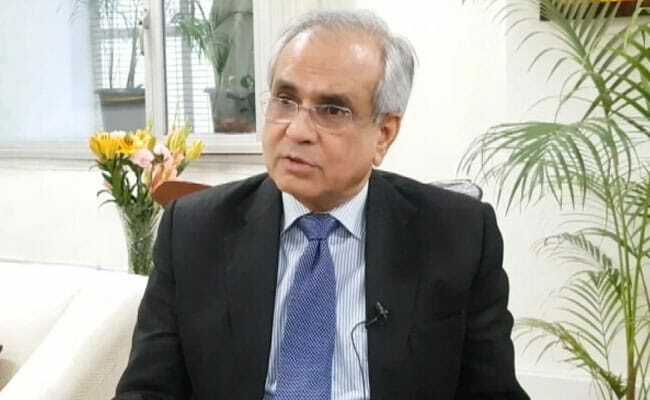 "I hope my friend Arvind is not equating these people with the elite of the country because elite of this country I hope and I believe that is honest, hard working and law abiding," Niti Aayog vice-chairman Rajiv Kumar said. Rajiv Kumar said said he doesn't know why Arvind Subramanian used the word elite. Mr Subramanian's soon to be published book, 'Of Counsel: The Challenges of the Modi-Jaitley Economy' has criticised demonetisation as a massive, draconian, monetary shock that accelerated economic slide. "I have seen a report which quoted Subramanian as saying that demonetisation was against elite. I don't know why he used the word elite. It was a step against those who are corrupt and had stored ill-gotten wealth." "I hope my friend Arvind is not equating these people with the elite of the country because elite of this country I hope and I believe that is honest, hard working and law abiding," Mr Kumar said on the sidelines of CII Health Summit. Mr Subramanian in a recent article said one answer to the demonetisation puzzle was that poor people were willing to overlook their own hardship, knowing that the rich and their ill-begotten wealth were experiencing even greater hardship. "I lost a goat but they lost their cows," Mr Subramanian added. Anti-elite populism, or 'rich bashing,'as The Economist put it, could have taken the form of other punitive actions - taxation, appropriation, raids - targeted just at the corrupt rich, he said, adding," Why entangle the innocent masses and impoverish them in the bargain?" Mr Subramanian was the chief economic adviser from October 2014 to June 2018 citing "pressing family commitments" and has returned to the US. In 2017 his term was extended for a year. Addressing the delegates, Mr Kumar said the government wants to digitise health data of entire population. The Niti Aayog vice-chairman also noted that both the government and private sector hospitals need to adopt modern technology in health care sector. "Both public and private sector hospitals need some degree of self regulation," he said.